We are contracted to the QLD Department of Education & Training, WA Department of Training and Workforce Development Future Skills & NT Department of Trade, Business & Innovation and cater for Workplace qualifications in Primary Production. For information regarding our qualifications, please click below. This qualification is delivered 100% at your workplace and tailored to suit your requirement and to service your industry (Agriculture, Rural Operation, Feedlots) with the best practise used in Australia. This qualification provides trainees with the basic skills and knowledge essential in agricultural production. A trainee undertaking this role will acquire a broad range of skills in one or more agricultural sectors, such as broad acre cropping (e g. grains, sugarcane etc.) and livestock (e.g. sheep, beef, horses etc.). You can then choose to specialise in one of these areas: Livestock, crops or mixed livestock crops, cattle production, cattle handling Fencing, Maintenance and Repair of basic machinery, Pen riding and many more ..
Pre-Requisites There may be pre-requisites pending competency selection. Entry Requirements It is Rural Training Australia's entry requirement that all prospective students complete an LLN test to assist in determining the level of adjustment, assistance or support required, if any. Suitable for School Based Traineeships. Performing routine maintenance including basic fencing and irrigation. Branding, ear marking and ear tags. Dehorning both chemical and mechanical methods. 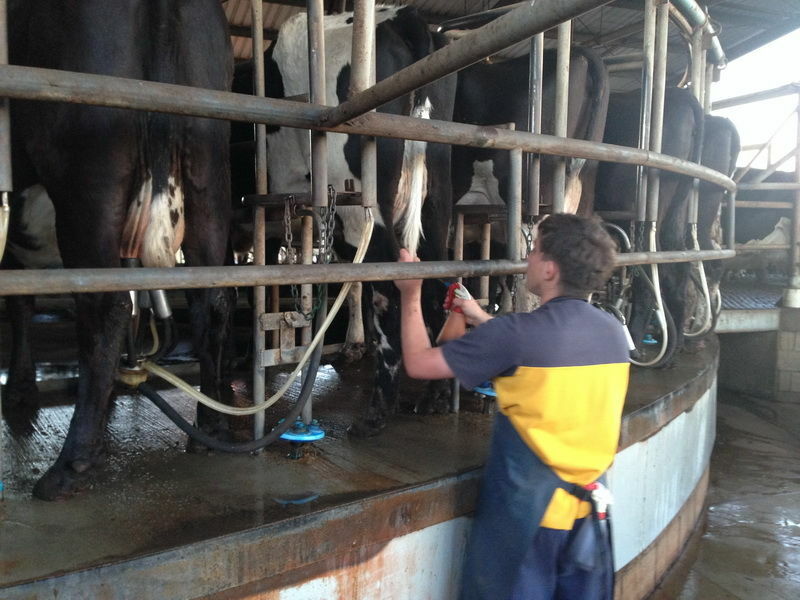 Castration, dips and injecting cattle and many more…..
Students have 12-24 months full time or 18-36 months part time to complete their qualification and they are able to complete their course work at their own pace. Our assessment methods include observation, discussion, written &/or oral questions and practical demonstrations to name a few. Award On successful completion of the units of competency successful trainees are awarded a Certificate of Completion or Statement of Attainment for the units completed. This qualification provides trainees with the skills and knowledge in agriculture and cattle production, including dealing with different weather conditions and managing sustainability, how to use chemicals safely and manage biosecurity threats, and how to use and maintain farming machinery. 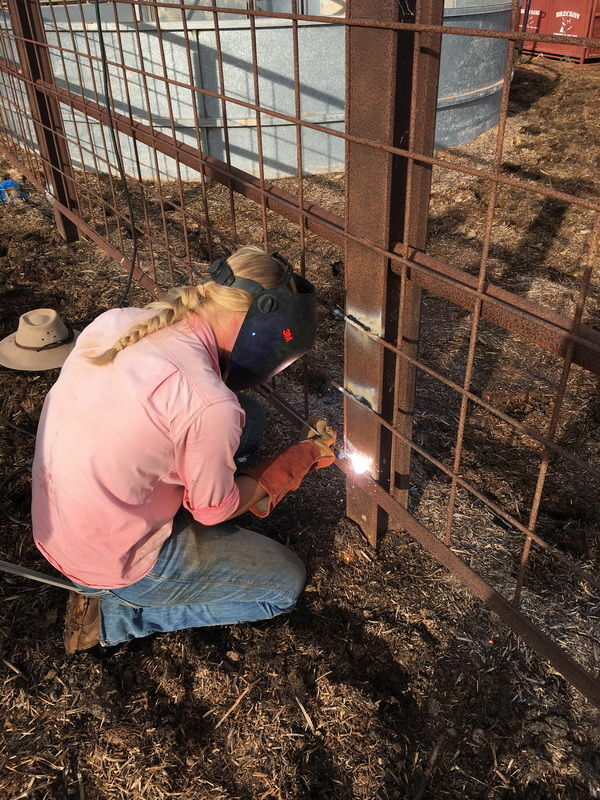 You will specialise in one of these areas: Livestock, crops or mixed livestock and crops You can choose to learn the various systems and methods of beef cattle production, Pen-riding , operating farm machinery and many more ..
Fees Refer our Fees policy or contact Kylie. This Qualification will teach you intermediate skills in livestock and crop production, as well as giving you the option to specialise in organic production or agribusiness, should you want to own or manage your own business. Students gain further competencies at level four to equip them for employment as senior station hands, farm supervisors or in agribusiness. It also prepares them for future roles as business and farm managers. Entry Requirements It is Rural Training Australia's entry requirement that all prospective students complete an LLN test to assist in determining the level of adjustment, assistance or support required, if any. Conduct major repair and overhauls to farm machinery and equipment and many more. This qualification provides trainees to undertake a variety of skills required in beef cattle feedlot operations. 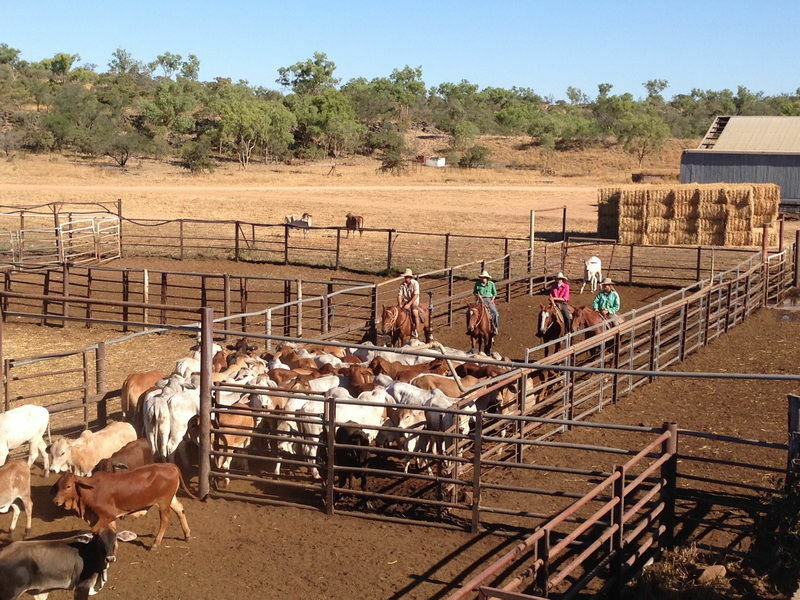 The training provided covers feedlot maintenance, pen riding, or feeding and milling stream. The testamur issued for this qualification is titled AHC33316 Certificate III in Feedlot Operations. Administer medication to livestock and other related animal welfare requirements. Plan and construct conventional fencing. 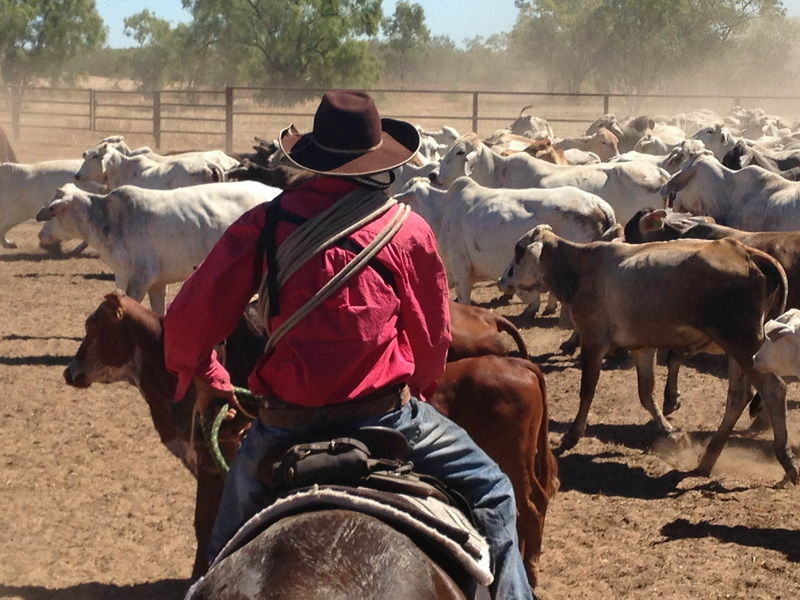 Mustering, moving and penning up livestock. Assessment Our assessment methods include observation, discussion, written &/or oral questions and practical demonstrations to name a few. Students have 12-24 months full time and 18-36 months part time to complete their qualification and they are able to complete their course work at their own pace using their selected delivery option. In this qualification trainees will learn to recognise plants, undertake planting tasks, use correct pruning techniques and collect plant specimens. On Successful completion of this traineeship you will acquire the skills required to work as an assistant to a horticulturist , work in a plantation or nursery. Depending on the units selected individuals will be able to seek employment not only in rural industries but also other industry sectors, such as local government and landscaping (construction) industry. Refer our Fees policy or contact Kylie. This qualification provides trainees with the skills and abilities appropriate to meet the needs of the various sectors within the horticultural industry. Study can be undertaken in a number of streams such as nursery, parks and gardens or landscape construction. Industry expects individuals with this qualification to perform tasks involving a broad range of skilled applications applied in a wide variety of contexts, which may involve application of some discretion and judgement in selecting equipment, services or contingency measures. Interpret planting plans and many more …. Students have 12-24 months full time or 18-36 months part time to complete their qualification and they are able to complete their course work at their own pace using their selected delivery option. Students have 36 months full time to complete their qualification. This qualification is part of the Racing Training Package. It covers the skills and knowledge required by jockeys who contract riding services on a daily basis to owners and trainers It is also an occupation where non-adherence to rules or poor performance can result in fines or suspensions from riding. Hence knowledge of rules and legal procedures is essential and the ability to defend reputation and livelihood in stewards' inquiries is critical. As racing is conducted at national and international venues Jockey’s are required to identify, analyse and evaluate information from a variety of sources. As a jockey is required to exhibit a high degree of decision-making skill during races, to exercise judgement when choosing mounts and to have an ability to assess form and discriminate between mounts. The jockey requires an in-depth understanding of the anatomy, physiology and health of the horse as he is required to communicate about the performance of the horse to the trainers and owners at the end of the race. Students have 48 months full time to complete their qualification.